Looking for a hearty recipe to tackle over a cold winter weekend? Try RPM Italian’s Short Rib Bolognese with Hand-Cut Pappardelle where handmade egg noodles are topped with a slow-braised beef short rib ragu. Prefer to have RPM Italian make this dish for you? Click here to make a reservation at RPM Italian in Chicago. Click here to make a reservation at RPM Italian in Washington D.C. This recipe does take some time (plan accordingly! ), but we promise the finished dish is well worth it. 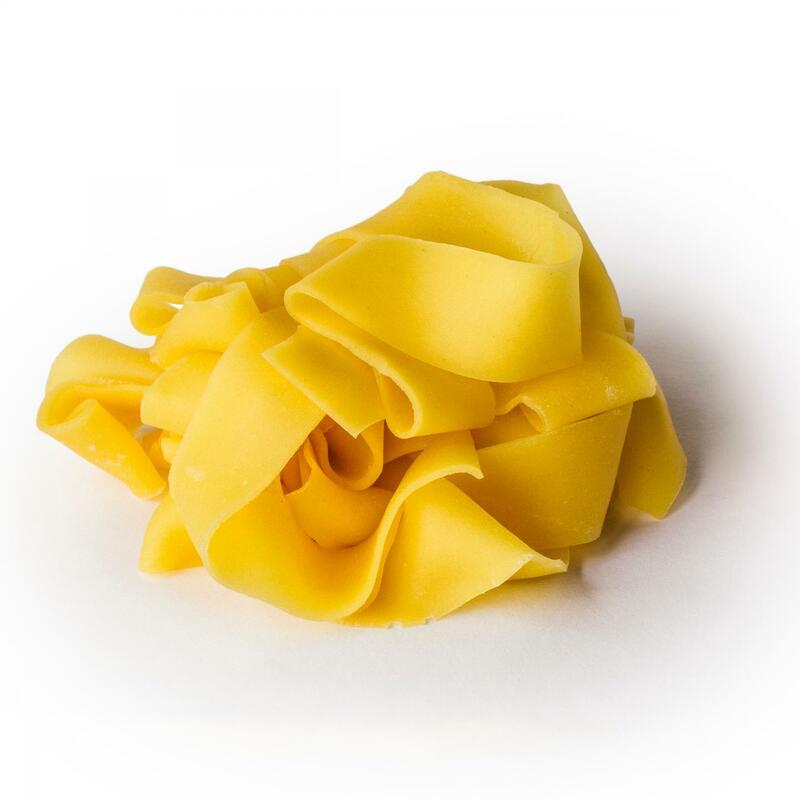 While you can find decent store-bought versions of pappardelle, nothing compares to homemade – its silky texture, full flavor and golden color are unmatched. To make, all you need are double-zero (“00”) fine flour, farm-fresh eggs and a sharp knife to cut the noodles by hand. To download a printable version of this recipe, click here. Place the flour in a mound on a board or in a medium bowl, making a well in the center. Add egg yolks, lightly breaking them up. Using your fingers, gently stir the yolks from the middle of the well outwards, gradually adding more flour bit by bit into the egg. Once flour is just incorporated, form dough into a ball and knead on a lightly floured work surface, adding more flour as needed. Continue kneading until dough is smooth and shiny, about 10 minutes. Wrap dough in plastic wrap and let rest at room temperature for at least 30 minutes and up to 1 hour. Dust the work surface and rolling pin with flour. Starting from the center of the dough, roll it out in a large rectangle about 1/8” thick. Fold sheet in half twice, then using a large, sharp knife, cut the dough into ¾”-wide pappardelle noodles. Toss noodles with semolina or cover with a lightly damp kitchen towel to prevent sticking if not cooking right away. Just before serving, bring a large pot of salted water to a boil, add the pasta and quickly cook until pasta rises to the surface, about 15 seconds. Test that pasta is al dente then drain. Preheat the oven to 300ºF. Season the short ribs with salt and black pepper on all sides. In a large dutch oven over medium-high heat, add ¼ cup grapeseed oil and sear the meat on both sides until caramelized. Add the onion and garlic, cooking until translucent. Add the tomato puree and chicken stock; bring to a boil. Cover and braise the short ribs in the oven for 3 hours. Remove the meat from the sauce and shred into 1” pieces; reserve both the meat and the ragu sauce separately. In a large skillet, heat the olive oil and 1 tsp. coarse black pepper. Add in approximately 2 cups reserved braised short rib and the roasted tomatoes, stirring to break up. Add 1½ cups reserved ragu, 4 Tbsp. butter and 2 Tbsp. chopped parsley; stir to combine. Gently add in the cooked pappardelle, tossing to coat. Sprinkle in 1 cup grated Pecorino cheese; season to taste with salt and pepper. Divide the Bolognese among 4-6 shallow pasta bowls. Garnish each with more parsley, Pecorino and black pepper.